We’re in Advent now – the darkest time of year. It is truly the four darkest weeks of the year. We are edging ever closer to the winter solstice: the shortest day of the year and the longest night, and the day in the northern hemisphere in which the sun travels as far south as it ever will. The ancients – so they say – feared the sun would continue dipping farther and farther south until eternal night came and the sun returned no more — which is in a way true in the northernmost latitudes. But on December 21st or 22nd (depending on the year), the curse reverses. Stops, and turns back. The winter solstice is a promise that night will not last forever. The days will lengthen. Light and warmth will return. But now, as the darkness of December dives ever deeper, we remember the darkness of a world without a savior. We remember the 400-year long wait to hear the voice of God again. We remember the oppression and the lack and the longing. And we wait. We wait for freedom and redemption and unblemished communion with God. For everything in Herod’s Temple was but a shadow of the communion we are created to live. And the communion we now enjoy through Christ crucified and risen is still but a shadow of the feasting and oneness and rejoicing in the eternal Kingdom Come. I remember in the States how the darkness would get the best of me. Not before Christmas mind you – there was too much joy and excitement and twinkle lights – but after. In January (which was far colder) the short days would depress me. It wasn’t enough to immobilize me, but it was enough to feel its weight bearing down on me — and February wasn’t much better. But I was never afraid of that darkness. In that developed place, there are enough city lights and home lights that the darkness didn’t ever feel total. Here, though, it’s different. Our low tropical latitude means sunset comes on fast and strong, all year round. The darkness doesn’t just deepen. It makes a swift descent. And the darkness is much more complete. I never noticed it as much, before we boarded a boat too poor to own a light for a sunset “cruise” in Kampot. That darkness I tell ya, it’s quick. And thick. It’s a despairing darkness, and feels as if morning might never come. Sunset comes at nearly the same time year round: 6 pm. We don’t have shorter days (not by much anyway), but we don’t have longer days either. I do miss the seasonal lengthening. And though we live in the city, the darkness is still complete. Out my front door is a partially completed yet still tall and as-yet uninhabited row house. It blocks whatever city lights might get to my 3rd story living room window. So when night begins, the darkness is total. And ever since that dark river trip in which I truly encountered the darkness of the Cambodian jungle, I cannot bear even to look out my window at night. Not after riding along a churning, muddy river without a light. 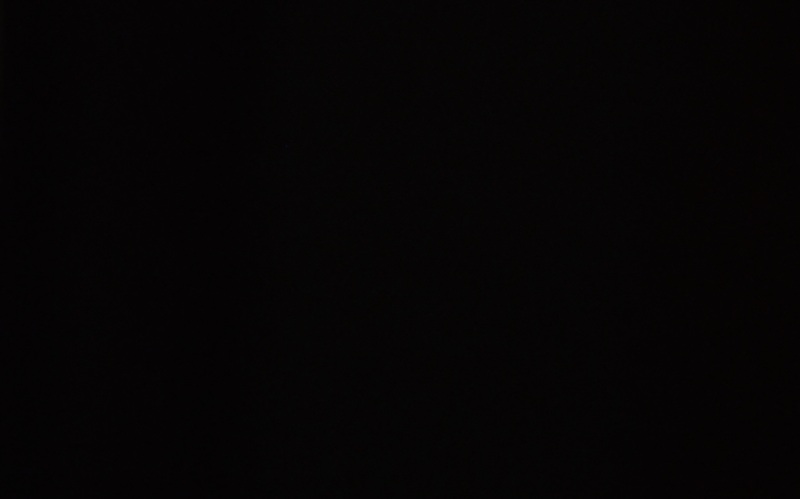 This darkness is too much for me. And too soon. Each evening it comes too soon. But isn’t this the soul of Advent? The darkness is too much for us. We were not created to live in this darkness, nor to take part in creating the darkness. So we wait. And we cry out. We cry for mercy. We cry for hope. We cry for return. Return of the Light. Return of the Son. Return of the King. Until He comes, we will cry. Until He comes, we will wait. Until He comes, we will not lose hope. And we will remember. We will remember that at just the right time, eternal, all-powerful God became flesh and dwelt among us. Pitched His bodily tent among us. His is the unwavering Light in this present darkness. Watching some dear friends and teammates in the local homeschool coop’s play. I wrote about what I learned from that refreshing evening here. Heading to Mondulkiri province with our teammates for Khmer New Year. It’s unbearably hot in Phnom Penh, but it’s at least 10ºF cooler in Mondulkiri during the day – and so cool at night I need a blanket, even without any fans. We met up with some other missionary friends in the area and had a lot of fun fellowship. I completely “unplugged” during this time and didn’t even use my husband’s phone to check Facebook or email. And the kids were again able to traipse all over the campground with their friends (there were 21 children in total), really getting that “camp experience” that Jonathan and I cherish so much from our childhoods. Here’s what I wrote about Mondulkiri on Facebook last year, what I wrote about it this year, and what I blogged about it last year. Participating in the Velvet Ashes online retreat. The theme was “Commune: Closer to Christ, Farther from Fear.” Karolyn’s testimony really resonated with me, as she talked a lot about the Shepherd. She taught us that we are supposed to find our identity in the Shepherd alone – not even in being sheep, but really, truly in belonging to the Shepherd. She talked about how our Shepherd leads us to different pastures, but that’s all they are: different pastures. The pastures are His, and He is with us the entire time. Sometimes I can get hung up on “place” and Home being a place, but I loved the beauty of what Karolyn said about the Shepherd leading us to different pastures and being with Him the whole time. Beautiful, true, comforting imagery. Also in the retreat time Kimberly read aloud Psalm 23 in The Message, because we tend to gloss over familiar passages of scripture without really thinking about them. She wanted us to listen to the psalm and pick out which phrases really caught our attention. The phrase that immediately caught me was “You let me catch my breath.” It stood out to me because I’ve been really breathless lately. I feel I can’t catch my breath, there’s so much to do, and the idea of catching my breath with God sounds really, really inviting. Co-leading a workshop on relationships for international teens. We focused on both friendships and dating/romantic relationships, and I really enjoyed our interactive sessions. Confession: I really miss youth ministry! It was a thrill to get just a little taste of it again. I led a session about female friendships and also participated in a panel discussion on guy-girl relationships with the other leaders. A Circle of Quiet by Madeleine L’Engle. I broke through the “wall” I was hitting in this book, and it started flowing much more quickly and easily. L’Engle is completely out of time. She’s in my grandmother’s generation, but I keep reading her words thinking they are directed at today’s society, when in reality she was a 1940’s bride and has been dead nearly a decade. So she’s a good example of the fact that human nature and human needs don’t really change. There’s so much in this book that I underline and find profound – too much to quote. You should just read the whole thing! Two-Part Invention: The Story of a Marriage, also by Madeleine L’Engle. Marvelous. Absolutely marvelous. Her husband had one kind of upbringing: stable. And she had another: mobile. I found myself in her story, and I found her musings on home, belonging, and marriage to be deeply moving. Be forewarned — it’s a tear-jerker. A beautiful tear-jerker, but a tear-jerker nonetheless. The Voyage of the Dawn Treader by C.S. Lewis. We finally finished reading this one! Goodness it takes longer to get through than any of the other Chronicles. I have so much less motivation to read it, although there really are some very good metaphors for the Christian life in it, including the baptism/transformation of Eustace and the appearance of Aslan in the form of a bird in one of their darkest, most fearful hours. What If? by Michele Womble. Poetry by Michele is something you should never skip! Commune: In the Breaking by Patty Stallings. In preparation for the Velvet Ashes retreat. Beautiful. Sometimes We Can’t Feed Ourselves by Amy Young. Also in preparation for the Velvet Ashes retreat. Breath of Life by Amy Young. Because I forget that I need to b-r-e-a-t-h-e. So thankful for the reminder. Resurrection by Sarah Bessey. Because there’s no way I can pass up Sarah Bessey on resurrection — and you shouldn’t either. The Cult of Calling by Leslie Verner. Such great truth that really touched a nerve over at A Life Overseas. Sisterhood: We Sharpen Iron Here by Idelette McVicker. I’ve talked about this before, but I’ll say it again: Christian female friendships have been some of my most life-giving relationships. I treasure them. The Desert Shall Bloom by Emily Hamilton. Because “flourishing in the desert” imagery speaks my language. On Freedom and Forgiveness by Jen Hatmaker. Such important truth, and so clearly and convincingly laid out here. God I breathe Your name above everything. What Room Does Fear Have? video and backstory. This one’s 20 minutes, but worth the time. Finding Allies in Imagination: Sarah MacKenzie of the Read Aloud Revival Podcast interviews S.D. Smith, author of The Green Ember (which I recently bought but haven’t read to the kids yet). Encouraging. Navigating Fantasy: Sarah MacKenzie interviews Carolyn Leiloglou. Another WONDERFUL Read Aloud Revival podcast. What does it mean to be emotionally healthy? by Kay Bruner. A short but comprehensive description of emotional health, including recommendations for some of our favorite books, Emotionally Healthy Spirituality by Peter Scazzero and the classic Boundaries by Henry Cloud and John Townsend. Head, body, heart: three ways to work a problem by Kay Bruner. How much do I love this (also short) animation? So much. We are whole beings and have to treat ourselves as such. And finally, this trigonometry animation, because I’m still more than a little obsessed with sine, cosine, and the unit circle. This Video Slays Every Video About Working Women Ever. Found this through a FB friend. Kind of like Igniter Media’s Nobody has it all together, minus the Christianity. Einstein made the revolutionary suggestion that gravity is not a force like other forces, but is a consequence of the fact that space-time is not flat, as had been previously assumed: it is curved, or ‘warped,’ by distribution of mass and energy in it. Bodies like the earth are not made to move on curved orbits by a force called gravity; instead, they follow the nearest thing to a straight path in a curved space, which is called a geodesic. A geodesic is the shortest (or longest) path between two nearby points. For example, the surface of the earth is a two-dimensional curved space. A geodesic on the earth is called a great circle, and is the shortest route between two points. As the geodesic is the shortest path between any two airports, this is the route an airline navigator will tell the pilot to fly along. There is a chemistry experiment called a titration. In this experiment, there are two clear solutions in separate test tubes. Drop by drop, one solution is mingled with the other. There is no chemical reaction until the one solution becomes supersaturated with the other. The final drop that accomplishes this causes a dramatic chemical reaction that is strikingly visible. Some sit before God in prayer rooms and renewal meetings for hours with no apparent spiritual reaction taking place. Then, suddenly, they have a power encounter with the Spirit that radically impacts them. In retrospect, they come to believe that a spiritual “titration” was going on through the many hours of waiting on God and through soaking in the invisible and hidden ministry of the Holy Spirit. Corduroy by Don Freeman. I got back into reading shorter books with my younger kids this month and was particularly drawn to the end of Corduroy, where the little girl Lisa brings Corduroy home from the department store. Corduroy blinked. There was a chair and a chest of drawers, and alongside a girl-size bed stood a little bed just the right size for him. The room was small, nothing like that enormous palace in the department store. “Me too!” said Lisa, and gave him a big hug. Isn’t that just the heart cry of all of us? We want home and a friend and unconditional acceptance. Horton Hears a Who by Dr. Seuss. No matter how many times I read this book, little Jo-Jo’s YOPP at the end still gives me goose bumps. No matter what it is or how small it seems, the kingdom work you and I do matters. To come to the air of their country!” he said. “We’ve GOT to make noises in greater amounts. Their voices were heart! They rang out clear and clean. 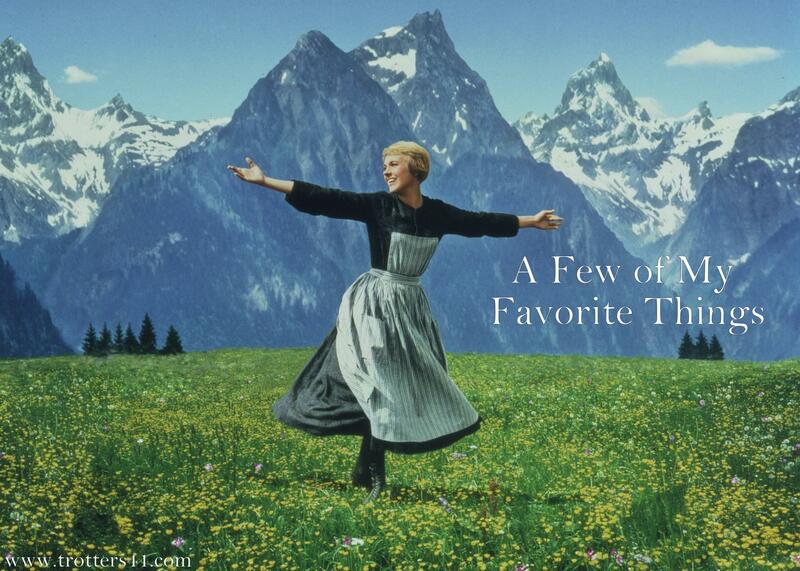 Elizabeth is over at Velvet Ashes today, talking about one of the big ways she enjoys God. “What is the chief end of man?” asks one of the Protestant catechisms. 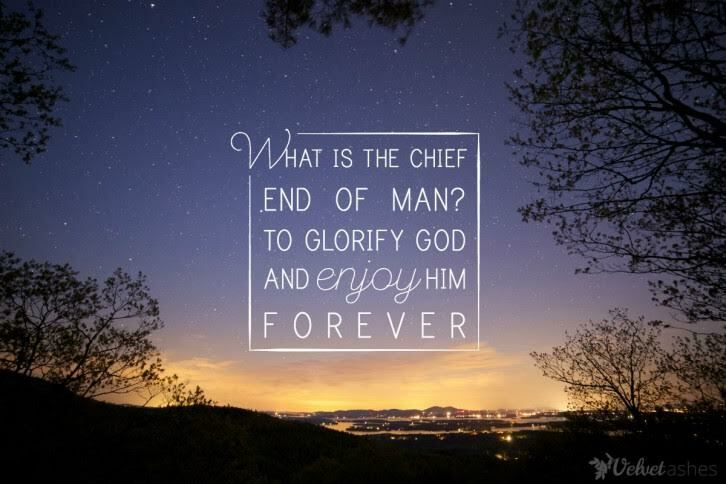 Its answer captivates me: “Man’s chief end is to glorify God and enjoy Him forever.” What a privilege, what a beautiful and lofty purpose we’ve been given! For me, one of the best ways to enjoy God is to revel in the heavens He has stretched out like a curtain (Isaiah 40:22). I actually believe that. The truest thing I know is the very first verse in the Bible: “In the beginning God created the heavens and the earth.” When I lose my way, it is the rock I return to. When my faith begins to capsize, it is the lifeboat that rescues me. In those times, no other theology will do. No other verse matters — only what I see in the stars. “The Lord merely spoke and the heavens were created. He breathed the word, and all the stars were born. For when He spoke, the world began! It appeared at His command” (Psalm 33:6,9). I can’t get over this truth. It never loses its wonder for me. It is the splendor of creation ex nihilo, something out of nothing. This one thing I know for sure: He speaks, and creation begins. He speaks, and stars appear. He speaks, and we come into existence. Light, energy, mass – all were created at His command. Anyway, at one point during the interview Krista Tippett says, “So, I always like this fact that light can be a particle or a wave depending on what question you ask of it as kind of a way of demonstrating, I think — something we all also experience, that contradictory explanations of reality can simultaneously be true.” Oh yes – there is paradox in physics as well as life. I’ve talked about that before. “Physics, for the past century, had this dualistic way of describing the world. One in terms of waves, which is usually conceived of as a continuous phenomena. And one in terms of particles, which is usually conceived of as a discrete or sort of digitized phenomena. And so quantum mechanics gives us the particle, as it were, discrete description. And general relativity gives us the wavelike, continuous description. And general relativity operates at the cosmological scale. And quantum mechanics operates so brilliantly at the subatomic scale. And these two theories don’t currently mathematically mesh. 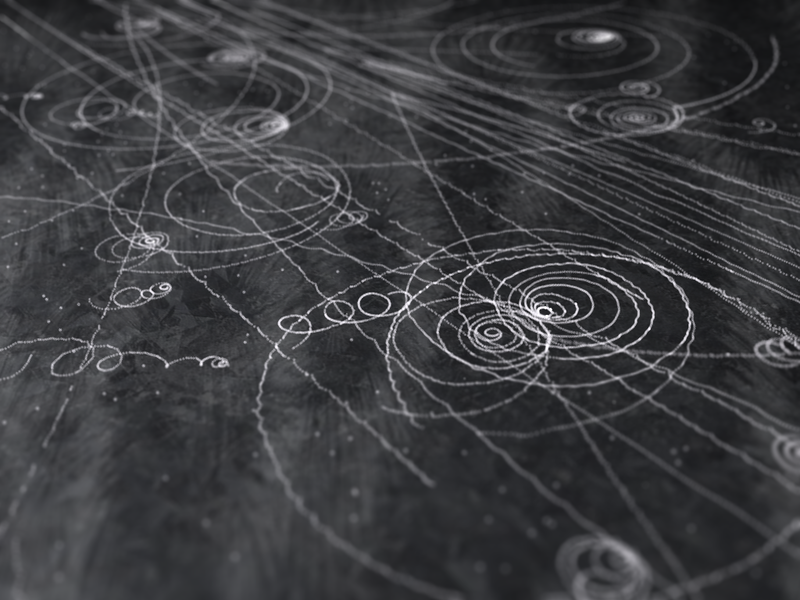 So the great hope of physics for the last 80 or so years has been, ‘Can we find a unifying framework that will combine general relativity and quantum mechanics into one mathematical synthesis?’ And some people believe that that’s what string theory can be. And it’s often — when contemporary physicists write about the world, they talk about this as being a fundamental problem for reality. But it’s not a fundamental problem for reality. It’s a fundamental problem for human beings. The universe is just getting on with it. I love how Wertheim says the Cosmos isn’t fracturing with our inability to reconcile relativity (on the large scale of planets, stars, and galaxies) with quantum mechanics (on the small scale of subatomic particles). The Universe isn’t freaking out about this problem. We humans are the ones freaking out, because we can’t get the math to work. 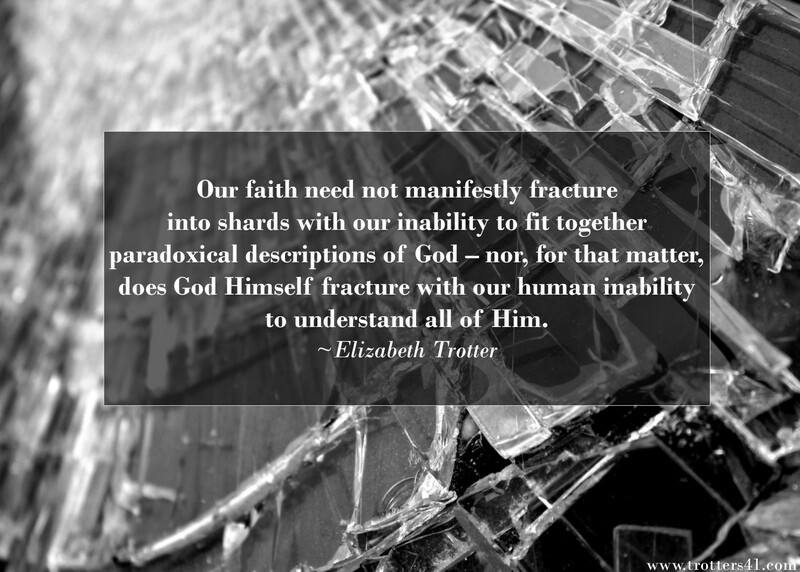 In the same way, our faith need not manifestly fracture into shards with our inability to fit together paradoxical descriptions of God – nor, for that matter, does God Himself fracture with our human inability to understand all of Him. I love the idea that the Cosmos and its Creator are higher than our capacity to comprehend them. I love the sense of awe and wonder that induces. And I love the fact that there’s always more for us to learn and discover. I do not need to fully understand the way the universe works in order to accept that it does work. I do not have to fully understand Jesus’ words in order to accept them as Truth. This is the enigma of loving a limitless God. This is the mystery of life with Christ, God-made-flesh. This is the joy of a faith that won’t fracture.